David is frightened of the sea. He does not like it at all, not one bit. 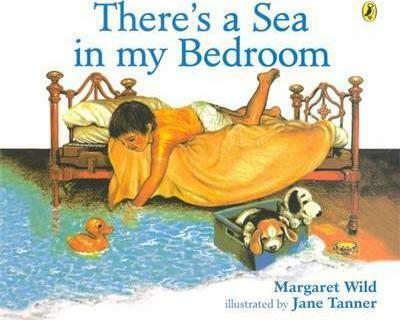 Margaret Wild is one of Australia's most-loved picture book authors. She has written over twenty books, many of which have appeared in foreign editions. All have been highly acclaimed. Jenny Angel (which was inspired by her brother's death at the age of seven), illustrated by Anne Spudvilas, Fox, illustrated by Ron Brooks and The Very Best of Friends, illustrated by Julie Vivas are all winners of the CBC Picture Book of the Year Award. Her most recent picture book with Penguin is The Treasure Box. Margaret was born in Eshowe, a small town in South Africa. She now lives in Sydney. Jane Tanner completed an Associate Diploma of Fine Art in Printmaking and Painting and a Diploma of Education. She taught for several years in Victorian secondary schools before taking up full-time illustrating in 1984. She is the acclaimed illustrator of the best-selling picture books There's a Sea in my Bedroom, Drac and the Gremlin, The Wolf, The Fisherman and the Theefyspray, Lucy's Cat and the Rainbow Birds and The Soldier's Gift. She is the author and illustrator of Playmates, Isabella's Secret, Ride with Me, Just Jack, Love from Grandma and Lilly and the Fairy House. She has won or been shortlisted for many prestigious awards, including the CBCA Book of the Year Awards in the categories of Picture Book of the Year, Younger Readers' and Early Childhood. This much-loved author/illustrator is one of Australia's outstanding picture-book creators.